Can I succeed like others have? What do I need to do? How do I go about it? What if I don't have the gifts necessary to do something great? The wonderful truth revealed in Scripture is that God uses ordinary people to accomplish extraordinary feats, especially when they say, "Yes, Lord" to the destiny He has prepared for them! GUARANTEED to teach you to hear God’s voice! Clear principles enabling you to interpret your dreams! Start Hearing God Through Your Dreams today! Discover 7 reasons to receive our monthly email newsletter! If you are interested in putting a link to our materials on your website, or mentioning it in your newsletter, you can become an affiliate. Our Message in 8 Minutes! Join Our Team & Mission! We donate 10% of all sales to providing our resources to those most in need. A coach to encourage you! Bring Anointed Ministers to Your Community! Click here for more seminars! Why This is A Perfect Curriculum Choice! How far could you go with a Bible School in your pocket? Do you have a skill that could help us? How Do You Fund Ministry? Partner with us and help spread the word! Receive fresh daily manna from heaven by subscribing to our daily devotional digest. 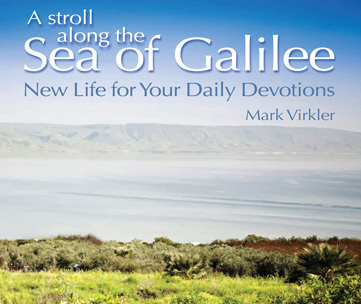 How-To Blogs for Spirit-Anointed Living by Dr. Mark Virkler. Discover Mark's Key Blog Posts. Charity Kayembe – Exploring the spirit realm of dreams, visions, quantum physics and angels. Dale Cresap, a Certified CWG Facilitator, posts daily devotionals of journaling. Enjoy and be encouraged! Karen Barnes – Leading Children Into God’s Presence. Steve Stewart of Impact Nations teaches you to proclaim the gospel of the Kingdom through power evangelism. Discover more revelation-based bloggers here. How to Hear God's Voice! How to Be Emotionally Free! How to Be Empowered by the Holy Spirit! How to Enjoy Vibrant Health! How to Master Your Bible! How to Create and Release Wealth! Unique Gifts Make Winning Teams! The #1 tool in the world for hearing God's voice! Click here for free streaming video and audio.